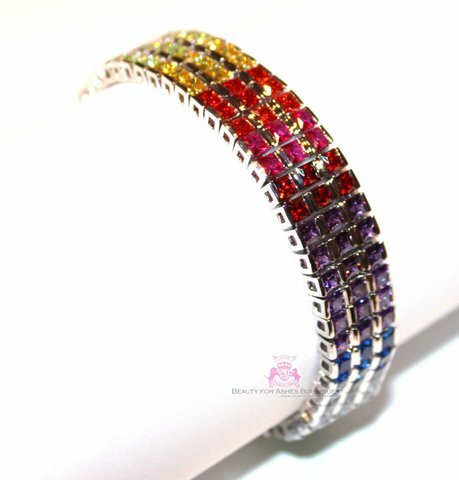 Beauty for Ashes Boutiques genuine rainbow cubic zirconias sparkle in the 14K White Gold setting of this Tennis Bracelet. Beautiful CZ's in Ruby, Canary and Sapphire and all the colors in between! Princess cut top quality czs in a channel setting in three rows, this rainbow represents Gods Covenant made with us after the flood in Noahs day. 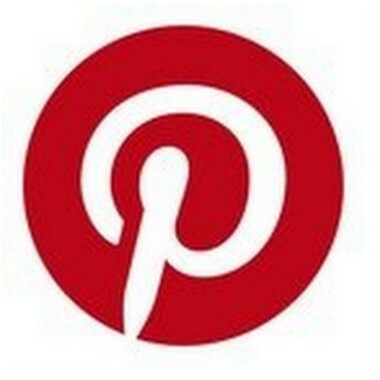 It is the perfect reminder, at an affordable price! Tongue and Groove with double clasp closure. Durable 14K White Gold Plated with 3mls over solid brass. 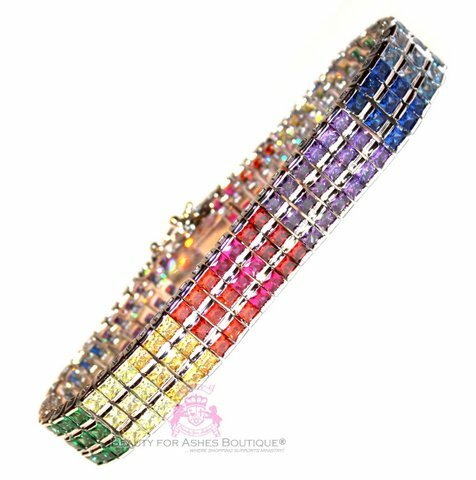 Bracelet length are: 7.5 inches 8 inches and 8.5 inches and just short of 1/2 inch wide. "This bracelet is GORGEOUS!!!! Thanks so much!" "Very pleased with the purchase."